MACNAK Construction takes pride in our vast experience and our commitment to providing exceptional service. As challenges arise during renovations and remodels, MACNAK Construction is able to respond promptly with solutions. We have a collaborative team approach that focuses on shared problem solving. MACNAK Construction has completed several projects in occupied buildings while making every effort to minimize disruption to users of the building and adjacent work areas. “The project involved demo in very close proximity to occupied space/cubicles. MACNAK performed above expectations and addressed all of our concerns. The site was adequately protected, work site was always cleaned at the end of all shifts, and GSA had no issues with the project disturbing building occupants. 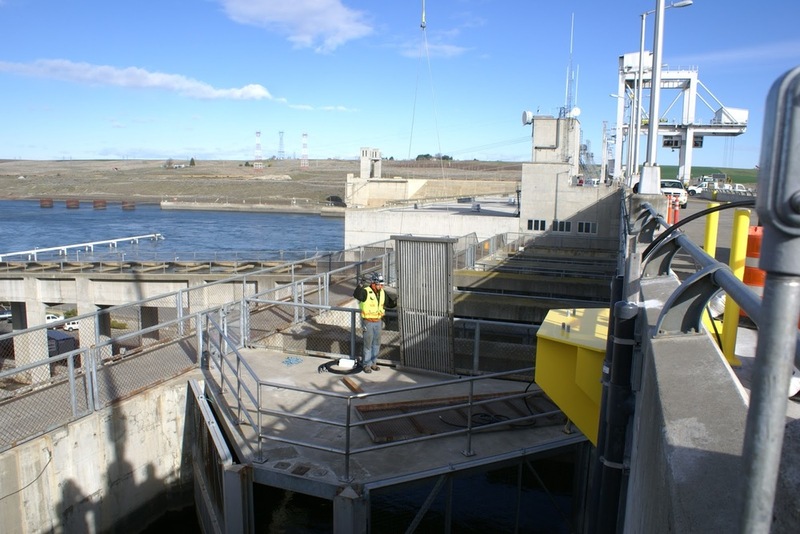 MACNAK Construction is the General Contractor in charge of Construction and Design of the Water Restoration Plant project to repair Water Treatment Plant Filtration system. This in-stream work will follow strict DoE requirements to ensure the Environment is not impacted. Completion of this project will allow the local cities and facilities to regain their vital clean water supply. Design and build project to modify and improve the Adult Fish Trap utilized for the science and study of the Fish population. MACNAK Construction completed tenant improvements at the Jackson Federal Building. Work included selective demolition, wall construction, finishes including paint, and new carpet throughout. What was cool? MACNAK Construction had to pull a 12 strand, single mode, armored plenum cable from the basement to the 33rd floor network rack. MACNAK Construction provided design and prepared an existing space for the installation of a new Tactical Operational Flight Trainer (TOFT). Modifications to the existing space included building, electrical, fire protection, and HVAC modifications as necessary to support the new Trainer installation. What was cool? MACNAK Construction closely coordinated all activities with our Client because the building operates 24 hours, 7 days a week and its operation could not be impacted or disturbed during construction. The newly remodeled facility will draw customers to participate in activities like directed and self-directed activities, classes, special events, birthday parties and Command family events. All renovations were completed while the facility remained open to the public. What was cool? The Convergent Zone was originally a bowling alley constructed in 1969. While a few lanes remain, MACNAK Construction created an attractive multi-functional recreational facility.